Here you can read about how we handle your personal data. Når du besøger vores website indsamles der oplys­ninger om dig, som bruges til at tilpasse og forbedre vores indhold og til at øge værdien af de annoncer, der vises på siden. Hvis du ikke ønsker, at der indsamles oplys­ninger, bør du slette dine cookies (se vejledning) og undlade videre brug af websitet. Nedenfor har vi uddybet, hvilke infor­ma­tioner der indsamles, deres formål og hvilke tred­je­parter, der har adgang til dem. Websitet anvender “cookies”, der er en tekstfil, som gemmes på din computer, mobil el. tilsva­rende med det formål at genkende den, huske indstil­linger, udføre statistik og målrette annoncer. Cookies kan ikke inde­holde skadelig kode som f.eks. virus. Hvis du sletter eller blokerer cookies vil annoncer kunne blive mindre rele­vante for dig og optræde hyppigere. Du kan desuden risikere at websitet ikke fungerer optimalt samt at der er indhold, du ikke kan få adgang til. Du kan se den komplette liste over cookies vi bruger, samt læse om hvordan disse behandles på siden for cook­i­epo­litik. When you visit our website, infor­mation about you will be collected and used to cust­omize and improve our content and to increase the value of the ads which are shown on the site. If you do not want infor­mation to be collected you can delete your cookies (see instructions) and avoid further use of the website. Below we have elabo­rated which infor­mation is collected, its purpose and which third-parties have access to these. The website uses “cookies”, which is a text file that is stored on your computer, mobile phone or similar with the purpose of recog­nizing it, remem­bering settings, performing stati­stics and target adver­tising. Cookies cannot contain mali­cious code such as a virus. If you delete or disable cookies the ads will be of less rele­vance to you and appear more often. Furthermore, the website might not function properly and some content may not be avai­lable to you. Personal data is all kind of infor­mation which to some extent may assign to you. When you use our website we collect and handle such infor­mation. This happens, for example, when accessing content, if you sign up for our news­letter, parti­cipate in compe­ti­tions or surveys, register as a user or subscriber, other use of services, or make purchases through the website. We usually collect and handle the following types of infor­mation: a unique ID and tech­nical infor­mation about your computer, tablet or mobile phone, your IP number, geograp­hical location and what pages you click on (interest). To the extent with which you give explicit consent and enter the infor­mation yourself, the following infor­mation will also be handled: name, phone number, email, address, and payment infor­mation. This will typi­cally be in relation to the creation of a login or when making a purchase. We handle your personal data securely and confi­den­tially in accor­dance with the current law, including The EU General Data Protection Regulation and Data Protection Act. Your infor­mation will only be used for the intended purpose for which it is collected and it will be deleted once this purpose is fulfilled or no longer relevant. We have taken tech­nical and orga­niza­tional measures against your infor­mation being acci­den­tally or ille­gally deleted, published, lost, impaired or comes to the know­ledge of anyone unaut­ho­rized, is abused, or in any other way handled in disa­gre­ement with the law. The infor­mation is used to identify you as a user, and to show you the ads that will most likely be relevant to you, to register your purchases and payments, and to be able to provide the services you have requested, such as sending out a news­letter. In addition, we use the infor­mation to optimize our services and content. The infor­mation is kept for the period that is legal in accor­dance with the law and we delete it when it is no longer necessary. The period depends on the nature of the infor­mation and the reason for storage. Therefore, it is not possible to specify a general time­frame for when infor­mation is deleted. If you write a comment, the comment and its metadata will be kept inde­finite. That way, we can auto­ma­ti­cally recognize and approve any follow-up comment instead of having them in a mode­ration queue. For users who create a profile on our website (if any), we also keep the personal infor­mation they provide with their user profile. All users can see, edit or delete their personal infor­mation at any time (except changing their username). The website admi­ni­strators can also see and edit this infor­mation. Data about your use of the website, which ads you receive and maybe click on, geograp­hical location, gender and age segment, etc., is passed to third-parties to the extent in which this infor­mation is known. You can see which third-parties are included in the “Cookies” section above. The infor­mation is used to target adver­tising. Furthermore, we use third-parties to store and handle data. These only handle the infor­mation on our behalf and may not use it for their own purpose. Disclosure of personal infor­mation such as name and email, etc., will only take place after your consent. We only use data handlers in the EU, or coun­tries which provide the necessary protection for your infor­mation. When visitors write comments on the website we collect the data which are shown in the comment form, and the visitors IP address and the browser’s user agent string to help discover spam. Visitors’ comments might be checked by an auto­matic spam recog­nition service. If you upload images to the website you should avoid uplo­ading images with imbedded location data (EXIF GPS) included. Visitors on the website can download and extract all location data from images on the website. If you write a comment on our website you can choose to save your name, email address and website in cookies. This is for your conve­nience so you do not have to write your infor­mation again when you write another comment. This cookie will last a year. If you have an account and you sign in to this website we will store a temporary cookie to decide whether your browser accept cookies. This cookie contains no personal data and is removed when you close the browser. When you sign in we will store cookies and save your login infor­mation and your monitor prefe­rences. Login cookies will last for two days and monitor prefe­rences will last a year. If you choose “remember me” your login will last two weeks. If you sign out of your account the login cookies will disappear. If you edit or publish an article, an addi­tional cookie will be stored in your browser. This cookie contains no personal data and provides a publish ID on the article you have just edited. It expires after one day. Articles on this website may contain imbedded content (for example videos, images, articles etc.). Imbedded content from other websites behaves exactly the same way as if the visitor has accessed the other website. If you have an account on this website, or you have written a comment, you can ask for an exported file with the personal data we have about you. This does not include any data that we are legally obliged to save due to admi­ni­strative, legal or safety reasons. You are entitled to be informed of the personal infor­mation we handle about you in a standard format (data porta­bility). You can, at any time, make objections against the infor­mation being used. You can also withdraw your consent to infor­mation about you being handled. If the infor­mation being handled about you is wrong you are entitled to have it corrected or deleted. 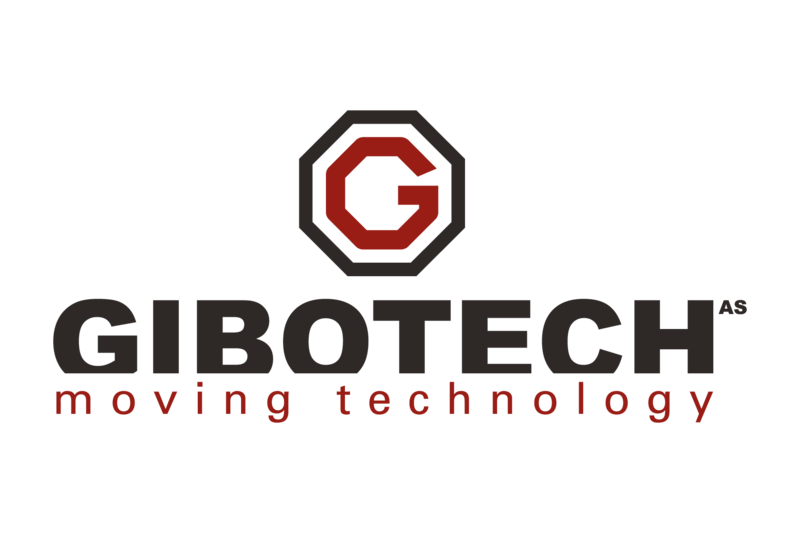 Contact gibotech@​gibotech.​dk for inquiries. If you want to complain about the way we handle your personal infor­mation you have the option to contact the Data Protection Agency. If you no longer want us to handle your personal infor­mation, or you want us to limit our handling of your personal infor­mation, you can send a request about this to the afore­men­tioned email address.